Heavy duty folding beach chairs are designed to provide everyone with an opportunity to enjoy a day at the beach. These chairs are built with reinforced joints, fabrics, and other supports to provide a chair option for those who weigh more. To qualify as a heavy-duty chair, the product must be able to have a rated maximum weight capacity of 250 pounds. Some models in this category are rated to support 500 pounds or more. Many heavy-duty beach chairs are designed in a similar manner, so you’ll find numerous manufacturers and chair models have the same features. In this category, look for these options to ensure that you’re purchasing the best possible chair to meet your needs. Double-layered fabric, 600-denier minimum, that is triple-coated for faster drying. Anodized aluminum supports with reinforced stainless steel for extended durability. Oversized seating dimensions that are greater than 20 inches wide. 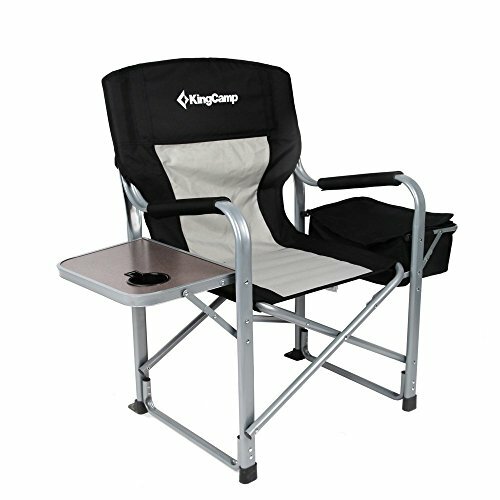 What Are the Best Materials for Heavy Duty Folding Beach Chairs? Many beach chairs feature an aluminum frame. When shopping for a heavy-duty beach chair, you’ll want to ensure that the product is built with anodized aluminum instead of a standard aluminum alloy. Anodized aluminum creates an oxide layer on the top of the exposed metal. This allows the frame of the chair to better withstand the abrasions that beach sand will cause to the metal. At the same time, you’ll receive a higher-grade corrosion resistance with the product as well. Color stability is also a benefit that comes with anodized aluminum. You’ll be able to keep that nice metal reflection for longer. If you need to clean the beach chair, use an abrasive cleaning sponge with mild dish soap to remove potential contaminants. This will help the chair stay nicer for much longer, even while in storage. Rip-stop nylon or polyester is often used for chairs in this category as well. This type of fabric is easier to clean, will resist damage, and provides a premium level of weight support in a variety of conditions. How Convenient are Folding Beach Chairs? Modern beach chairs are extremely convenient because of their updated folding designs. This is more than a convenience for storage or transportation. The designs can even unfold to specific reclining positions. Some can even lay flat, allowing you to take a quick nap during a relaxing day at the beach. The level of convenience that is received depends upon the type of frame used for the chair. Most in this category are made from anodized aluminum, but steel frames and even wooden frames are still available as well. Canvas materials are sometimes used as well. If a wooden frame with canvas materials is exposed to water, the chair may alter its shape enough from the moisture that it becomes difficult to fold. That is why it is important to carefully consider the advantages and disadvantages of heavy duty folding beach chairs before finalizing a purchase. Today’s sturdier beach chairs come outfitted with the same great features that you’ll find in every other chair design. You’ll find fun pockets that can hold your stuff, insulated pouches to keep your drinks cold, and even attached umbrellas. Most beach chairs in this category have at least one cup holder that comes with the product. There is also the element of folding to consider. Because of the added weight that a heavy-duty beach chair provides, manufacturers have created unique designs that can be carried on your back or over your shoulder to reduce the inconvenience of the added weight. Look for models that have either a separate carrying bag or an attached shoulder strap to use this advantage. Some models are even designed to fold-out flat or have various recline positions that can be used, allowing you to relax in whatever way suits you the best. The one primary disadvantage of owning a heavy-duty beach chair is the overall weight of the product. Because these chairs feature reinforced elements, it is common for them to weigh 15 pounds or more. That can make it difficult to take the chair to a beach that may require some hiking to access. Heavy-duty beach chairs may also cost more than a standard beach chair. Although the cost difference is often minimal, it can be enough to put the chair out of reach for some household budgets. Some models have a denier strength that is below 420. 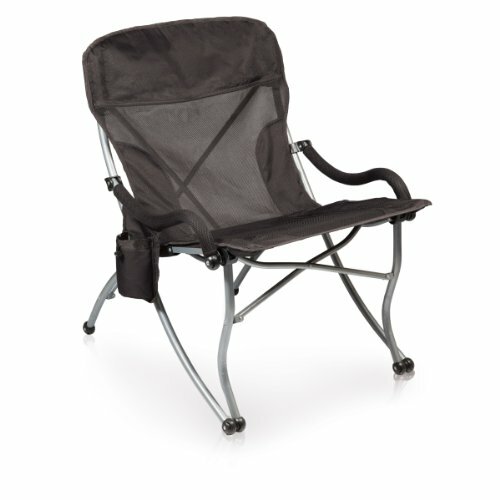 For the best options in this category, you need a minimum 420D beach chair to meet your needs. 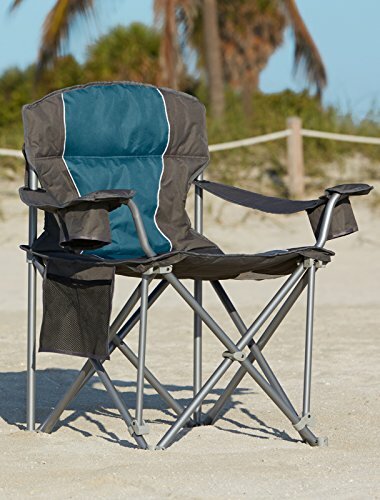 Heavy-duty folding beach chairs allow everyone to enjoy the beach in their own way. With a variety of styles and options available right now, there’s a good chance you can find the chair of your dreams today.